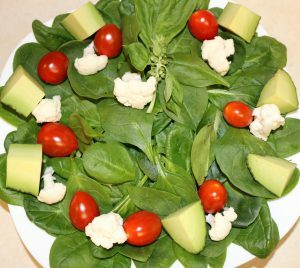 What is a Low Carb High Fat (LCHF) diet? It means you can eat real natural food. Many scientific studies have shown that the LCHF diet makes it easier to lose weight and lower blood sugar levels. Hundreds of thousands of people have lost weight using this method. Unfortunately, there are around 1 billion people in this world with diabetes. In a calorie reduced diet, the idea is to lose weight, or is it? You can stay on it for so long, but then it does not work. Why? The intake of carbs increases the need for more carbs, and there goes the diet. If your mind is trained to eat processed high carb foods, then that is what you will look for. Think like this, I want to start eating healthy, say it again, I want to start eating healthy. How do I do it? The answer is simple, eat an LCHF diet. Eat when you are hungry and until you are satisfied. If you are still hungry, eat more fat. It is as natural as breathing. An LCHF diet is eating low carbohydrates and high natural fats. You minimize your portion of carb rich food like sugars and starches. You eat delicious, natural foods until you are satisfied. If you are still hungry, eat a celery stick or an apple. Eat when you are hungry and until you are satisfied. It could not be any simpler. Yes. Recommended, good foods: Meat, fish, eggs and vegetables, foods grown above the ground, and natural fats like butter, coconut oil, olive oil, unsalted nuts: cashews, macadamia, almonds. Beef grade A quality, hot dogs and sausages as long as it is high quality with the highest percent of meat. Natural dairy products, cheese is good, very low carbs, high-fat unflavored yogurt 10 to 17 % fat content. Not recommended, avoid these foods: Sugar, artificial sugar sweetener, fruits, starchy foods (bread, rice, beans, potatoes, and pasta) and processed chemical foods, anything in a package, plastic, canned, and what have you. No breading as it has high carbs. Trans fats otherwise known hydrogenated oils. Used in fast foods and not good to the body. Milk contains 5 % milk sugar or lactose. Low-fat milk, otherwise known as white soda, should also be avoided . Energy drinks, sports drinks, juice, and soda pop are sugar bombs. The last drink to avoid is beer, too many carbs, have you heard the term beer belly, of course we all have. You do not need to count calories or weigh the food, don’t have to look up foods in a calorie counting table book. No pills, no low-fat products, no meal replacements, no processed food, and no sugar additives. The LCHF diet is the best way to eat. There are no restrictions, simply eat natural, delicious foods. Eggs are excellent, try to buy natural organic if you can find them. How many eggs can you eat per day? Answer by the dietdoctor Dr. Andreas Eenfeldt: Do not eat more than 36 eggs per day and if you want to eat less that is OK too. Omelets cooked in butter are delicious. I eat omelet everyday. Be aware olive oil becomes toxic at 300 F or 150 C, and is not a good idea to cook over a stove. Why are the benefits of high fats? Answer: High fats keep you full and zero carbs. Repeat zero carbs. We need to let everyone in the world know about the LCHF diet. If everyone would eat this way it would not only cure diabetes but many other diseases. Amen. Feasting means to eat a lot. There is a time to feast during holidays and special occasions. Christmas, weddings, birthdays, special days around the world, everyone will eat too much and gain weight. Taking an extra overloaded plate, saving room for desert and snacks when there is no room. Eating continuously you will gain weight, after the feasting you must stop eating. To lose the weight you must go back to your daily routine and fast. I congratulate you on reading this far, you must be interested. If you are a type 2 diabetic, you should be able to start this diet. Note, the best diet for diabetics is to limit carb and protein intake. Daily carb intake should be 50 to 70 grams and protein intake should be 20 to 30 %. These numbers are not the same for everyone and it would be a good idea to try different amounts. Less carbs is ideal. Remember that protein is converted into glucose by the liver so it is advisable to limit protein intake. Both raise blood glucose and stimulate insulin. I was on Metformin only 2 years ago, now I am currently free of medication, and put my type 2 diabetes into remission. Metformin, marketed under the trade name Glucophage, is the first-line medication for treatment of type 2 diabetes, specifically obese people. It is also used in the treatment of polycystic ovary syndrome (PCOS). It is taken orally and is not associated with weight gain. Side effects include diarrhea, nausea and abdominal pain. It should not be used in those with kidney or liver problems. It works by decreasing glucose production by the liver and increasing sensitivity of body tissues. Insulin users with high blood sugar levels will need to be careful and monitor your glucose. After you eat a LCHF diet, you will have to adjust your insulin dose. Avoiding the carbohydrates and protein that raise your blood sugar, decreases your need for medication. Be very careful of hypoglycemia (low blood sugar). The LCHF diet should be used in conjunction with a healthy lifestyle, Intermittent Fasting and exercise. Tina Tiecholz talks about healthy and unhealthy fats in her book “The Big Fat Surprise”. Long and short do not eat trans fat and vegetable oil, eat olive oil, coconut oil and butter. You will need to test your blood sugar frequently on the LCHF diet and adapt (lower) your medication. See your doctor and discuss the LCHF diet. The main point for any of these diets is to eliminate sugar, processed foods and snacking. Eat unprocessed natural foods and any diet will absolutely meet your nutritional needs. The Ketogenic diet, (Ketosis, or Keto diet) is an extreme version of a Low carb high fat diet. It is geared towards moving the body’s metabolism from carbs to fats and ketones. Lowering carb intake and replacing with fat puts your body into a metabolic state called ketosis. Refined processed foods like bread, cereal, and sugary beverages are not part of this diet. Healthy fats like butter, grass-fed beef, fish, and non starch vegetables provide the major part of our everyday calories up to 80 percent. To achieve a state of ketosis, you have to diminish your carb consumption below 50g a day. Some people even go to 20 g per day. Most people not on a diet consume an average of 300g of carbs a day, so the sugar acquired from the absorption of carbohydrates constitutes their main source of energy. In order for your body to switch to ketosis, start by quitting sugar. Then empty your fridge, pantry and any storage of all processed food. Include fasting into your routine because you want to lower your HgA1c and get you insulin sensitivity back to the normal range. Please consult a nutritionist and your doctor before you partake in this dieting plan. The Keto diet is a reduced carb content of the LCHF diet. I absolutely recommend this. The OMAD diet is exactly what it says, eat one meal a day. The theory is based on one meal and fasting. This will absolutely work if you want to lose weight. This plan incorporates the fasting along with a daily meal. The key to this plan is do not over eat and do not eat processed foods. Follow the diet plans above and you should be able to lower your HgA1c and get your insulin sensitivity back to the normal range. Stop eating high carb processed foods, sugar and added sugars. Eat healthy, natural foods, which will lead you to a natural, nutritional, and healthy lifestyle. The Big Fat Surprise: Why Butter, Meat, and Cheese Belong in a Healthy Diet, Tina Tiecholz, Simon and Schuster, 2014. The Fat Chance Cookbook: More Than 100 Recipes Ready in Under 30 Minutes to Help You Lose the Sugar and the Weight, Robert H. Lustig, by Avery, 2013. Low Carb, High Fat Food Revolution: Advice and Recipes to Improve Your Health and Reduce Your Weight, Andreas Eenfeldt, Skyhorse Publishing, 2017. Keto Clarity: Your Definitive Guide to the Benefits of a Low-Carb, High-Fat diet, Jimmy Moore, Victory Belt Publishing, 2014. I welcome and appreciate any comments, questions or concerns. Please leave me a message. Many thanks for reading and dropping by.